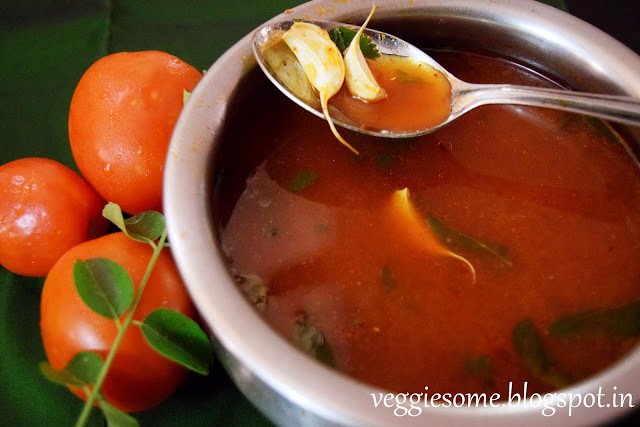 Tomato garlic rasam (south indian soup) is perfect for those days when you want something light or when you are down with flu. 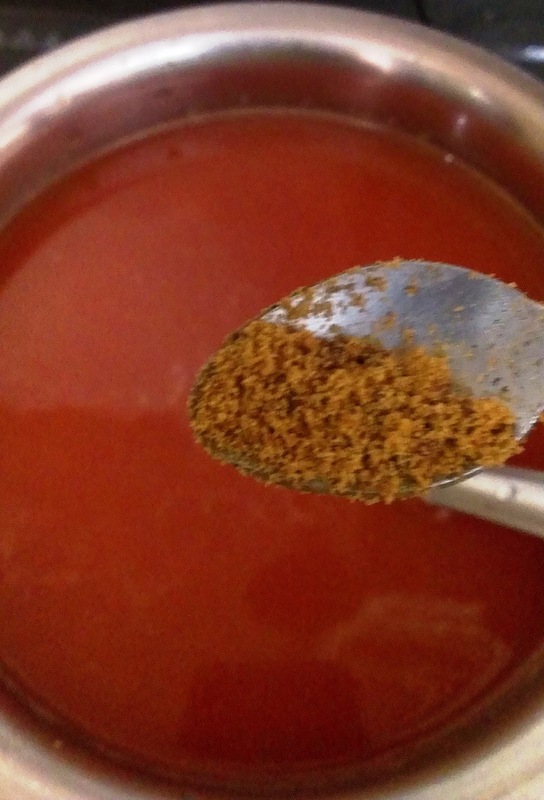 It combines the goodness of tomatoes and healing properties of garlic to keep you warm and satiated. 1. 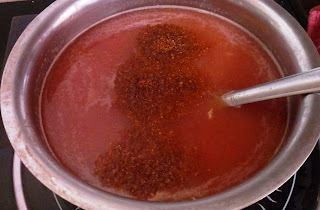 Make tomato puree as mentioned in this link. Add salt to taste, jaggery and rasam powder to this. Mix well. 2. Cook on simmer till it comes to a boil and you see the rasam frothing as given below. 3. Heat oil for tadka and add garlic, when it starts browning, add mustard seeds, jeera pepper powder and curry leaves. When the mustard seeds start spluttering, switch off the gas. 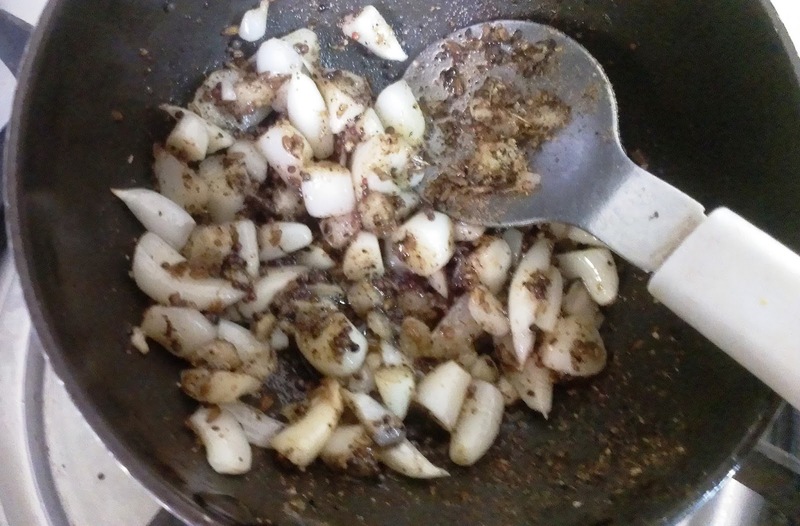 Alternatively, you can roast the garlic cloves in oil separately and then prepare the tadka. 4. 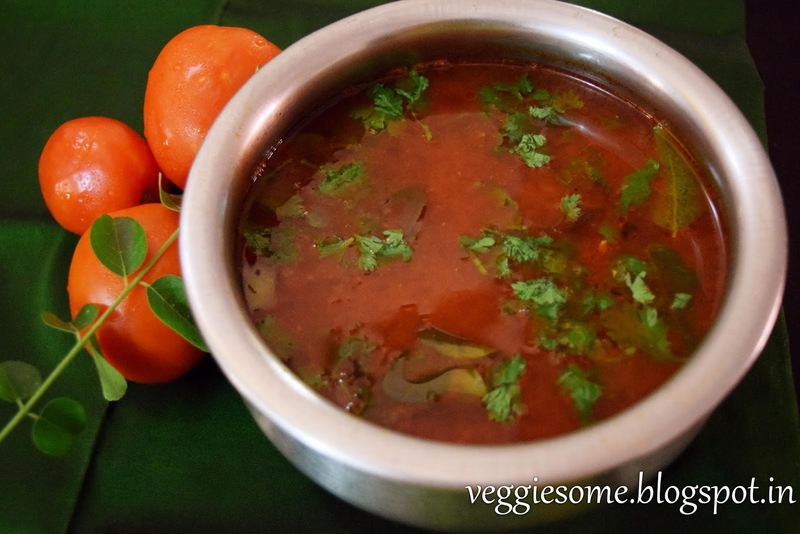 Garnish the rasam with coriander leaves and serve hot with rice. 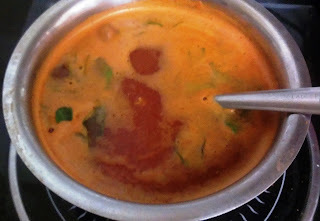 You can use MTR rasam powder if you do not have udupi rasam powder. Sending this to the "Glorious reds" Vegetable Palette challenge.